We got your back. Backcial is like a facial but on the back. This treatment includes the whole back; it goes from shoulders to the lower back. 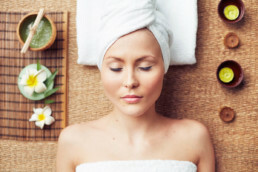 Backcials are relatively new to spa treatments but can provide a multitude of benefits. Your back is the largest area of your body and the hardest to reach. Much like your face, your back is prone to blemishes, uneven skin tone, and clogged pores. Without the proper exfoliation and cleansing, you could be dealing with many unsightly problems that are difficult to repair with conventional treatment. A backcial is a new approach to maintaining a smooth and supple skin while preventing blocked pores and the difficulties of poor cleansing. What Does a Backcial Entail? The backcial is most beneficial for those who enjoy apparel to expose their backs, model or train revealing much skin. It is also a great way to maintain healthy skin tone and prepare your back area for the upcoming summer months. It is a treatment that assists individuals who experience common problems such as breakouts, clogs, and improper skin management. The backcial is similar to the performance of a facial. 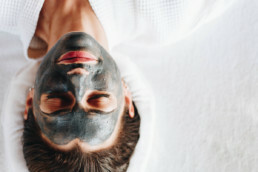 Clients can expect a high standard of treatment including the application of masks, glycolic peels and exfoliation to reveal refreshed and appealing complexion. 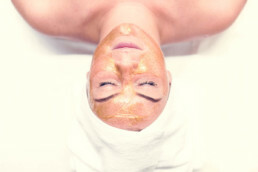 A back facial is becoming increasingly popular because of the many benefits it provides to its clients. It is a non-invasive procedure that involves careful cleansing applications to remove the dirt, oil and dead cells from the surface of the skin. This process has also proven favorable in opening the pores. Once clogs are removed the pores are more responsive to the application of treatments from moisturizers to blemish and scar removal therapies. You can expect a highly beneficial treatment in combination with massages. The backcial includes the layering of a mask that delivers nutrients and cleansing needed to maintain a beautiful skin tone. Massaging the back will stimulate circulation and ensure that the cells receive the proper levels of nutrients to facilitate healing. Not only can the skin along your back be improved with facial type therapy but the massages help relax the mind and the body. 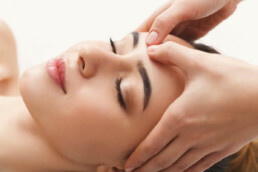 It is a comprehensive form of treatment helping to deliver a beautiful, smooth and even tone. Why Seek a Professional Back Facial? The backcial addresses the many problems associated with skin management. Sweat, dirt, constant contact with clothing and the appearance of blemishes are best removed with specialized treatment. Therapy incorporates quality products and procedure to identify the problems that are most troublesome. The production of sebum on your skin is responsible for blocked pores and the formation of blemishes. Leaving breakouts along the skin can increase risk of scars leaving marks and poor tone along your back. Where to Get a Back Facial? The Gallery Massage Studio at 3919 Tennyson Street Denver, Colorado offers soothing and enhancing backcials. 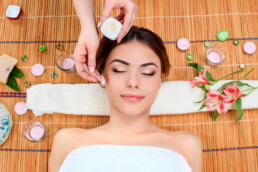 Professional therapists deliver comprehensive back facials to keep your skin looking beautiful, smooth and free from breakouts.